The device is applicable to centralized pulverizing of all kinds of plastics, including the waste of injection moulding, blow molding and extrusion forming. The structure of Crusher is compact for convenient operation, easy cleaning and maintenance which enhances the working efficiency. Note: The crushing capacity depends on the diameter of screen mesh. The device is applicable to centralized pulverizing of all kinds of plastics, including the waste of injection moulding, blow molding and extrusion forming. 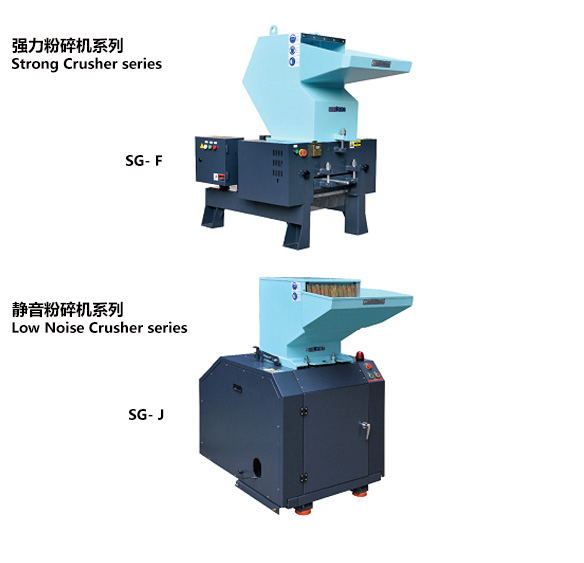 The structure of Crusher is compact for convenient operation, easy cleaning and maintenance which enhances the working efficiency. Low noise to make the working environment better.